Got an old USB hanging around? Hang it around your neck by crocheting a necklace around it. On your usual usb string secure yarn with crochet hook and continue single crochet as if you do in a ring! 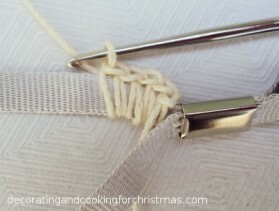 Each set of these five stitches will form a flower petal like structure.Repeat to cover one fourth of the string. When 3/4 of your sting is coverd switch back to previous pattern. Embellish the center of your string with any crocheted flower. Finally you can have your own usb necklace to wear!